This story will sketch a picture of a WWI Balloon Company, from its formation, schooling in the United States and France, through its deployment to the trenches of and subsequent return to the States. 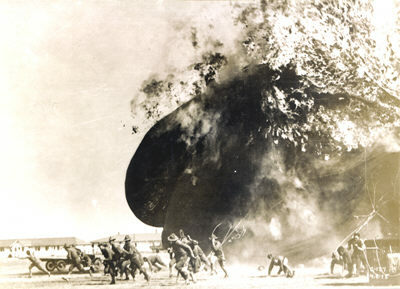 The Army Balloon Section was one of the smallest groups in the AEF. There were 102 American Balloon Companies in the Great War. Most were stateside or in transit when the armistice took effect. 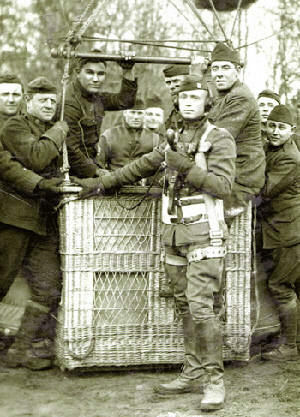 The Balloon Corps had 685 rated balloon pilots and observers; supported by about 20,000 other officers and enlisted men. Of these, only 36 Balloon Companies served overseas, not all saw action or even got a balloon in the air. The 43rd Balloon Company was one of the few that saw action on the Front. The 43rd Balloon Company was formally organized at Camp John Wise on March 23, 1918 and was commanded by 2nd Lt. John R. Hall. Most of the men had been at camp for a month or so, and were in various stages of training when they became a formal organization. A typical balloon company would have as many as 250 enlisted men and officers. Training was extensive: daily drill, rifle and machine gun practice on the range, down by the Olmos Creek. 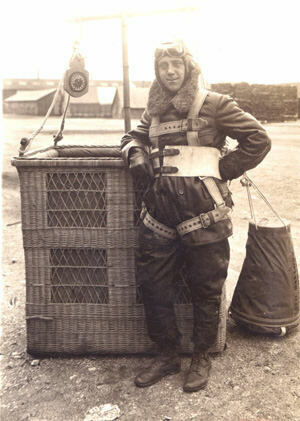 Depending upon one’s particular craft, there was training for: balloon fabric repair, hydrogen generation and storage, cordage and balloon rigging, basket repair, parachute rigging and balloon handling. Add in the usual K.P., laundry and guard duty, on top of that: out in the field launching and maneuvering a balloon for several days at a time. Needless to say, the troops were kept very busy. However, there was time for recreation on some weekends. Soldiers would venture into San Antonio and see the sights; much the same as soldiers have done for the last 85+ years: visit the Alamo, the Missions, eat real food, meet girls, and drink a beer. On May 2nd, the 43rd Balloon Company departed Camp John Wise for Fort Sill, Oklahoma. There they would undergo several weeks of extensive field training, including live artillery observations. Field conditions were very much like the Front, they had a lot to learn, and problems to overcome. While trying to winch in a balloon under high wind conditions, the cable broke and the balloon began to drift away; the observers parachuted to safety. The balloon was damaged beyond repair, having traveled some 30 miles, dragging its cable, cordage, and basket, snagging telephone and power lines along the way. While there, they were constantly reminded of the dangers associated with balloon handling and hydrogen. A few weeks prior to their arrival, there was an incident that occurred while a balloon company was deflating its balloon: it caught fire, killing two men and injuring several others. Having completed several weeks of rigorous training, they departed by train, (a six day trip) to the new camp in Morrison, Virginia. The troops were upbeat upon arrival, and ready to take on the Hun, as they were no longer rookies and were ready to fight. However, they were put to work with pick and shovel, helping other companies finish the facilities of the newly constructed camp. This is not what they had in mind; after all, they signed up to fight in the trenches… overseas. Little did they realize how valuable this trench digging experience would be when they eventually got to the Front. There was time however for the formation of a baseball team: a quite good one, there were some pro and semi-pro players in the company. After several weeks, a few cases of the mumps, dozens of rumors, and many “last” letters home, on June 29th, with full packs and all their gear, they gladly hiked several miles to the port and boarded an Italian ship bound for France. When they boarded the ship, hardly anyone knew what to expect. It was worse than anyone could have possibly imagined. 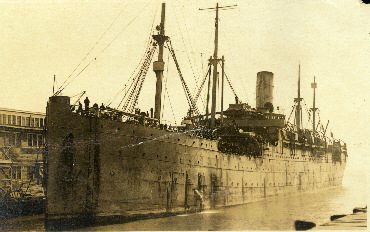 It had been a passenger ship, but converted to carry troops, lots of them. Normally the ship would have had space for 1000 passengers and crew. It now carried 5000+ soldiers and some crew. The 43rd Balloon Company was assigned to the lowest decks, all well below the water line. It was dark, smelly and crowded. Bunks were always full, as they slept in shifts. Food was as bad as the air below decks. When one got to go up on deck, it was a constant lookout for German U-Boats. Seasickness was the normal condition of most everyone. Rumors were rampant, and the prevalent opinion was that the Italian crew was sailing to Italy, not France. After two weeks at sea, the 43rd Balloon Company arrived in “Sunny France”. Rain, rain and more rain, calling Pontanezen a mud hole was being kind, but it was much better than being on board the ship. At Pontanezen, the 43rd Balloon Company and gear were shoved into rail cars and moved to the U.S. Balloon School near Camp de Souge. Lt. O.B. Anderson became the new commanding officer and the crews were put to work with a new balloon. Col. Mygatt was in charge of the school, and he told troops that they would be going to the front and to forget everything that was learned in the States. Extra gear was jettisoned and only the “essentials” were carried; two pairs of socks. Training continued through the first weeks of August. On August 13th, the troops were again crowded into rail cars and endured a three-day trip to Toul. Once there, equipment was issued and the 43rd Balloon was sent into the Bois de Menil la Tour; finally at the Front. Everyone was exited but disappointed; as there was little activity, save for a few aeroplanes flying back and forth. It seemed rather calm and safe and everyone went to sleep. Later that first night, the German gunners landed a shell into the ammo dump, 400 meters from the 43rd Balloon Company’s position. The company officers gallantly led the troops to the shelter, (they ran faster than anyone). The next 11 hours were spent being bombarded by our own exploding shells. They got their first trial by fire and came to the realization that the Front was not all that safe. After recovering from the bombardment, the balloon finally got some time in the air, with Lt. Leon Biche and Lt. Cedric French as observers. Once up, five German planes immediately attacked them, they went over the side of the basket, parachuting to safety. Over the next few weeks, any day that the weather was good, the balloon was up: very hard work under poor conditions. 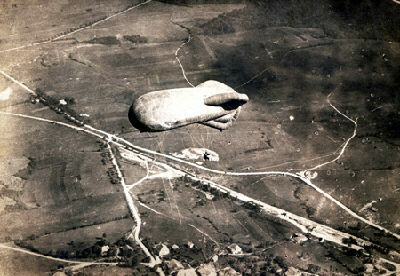 On September 12th, the 43rd Balloon Company took part in the St. Mihiel offensive. The ground troops were moving fast and it was difficult to work in any one place, with all the artillery being heaved back and forth. The trenches made it difficult to move the balloon forward as rapidly as the doughboys were advancing. This trip across the battlefield allowed for souvenirs to be picked up from the trenches. When the 43rd finally got to their appointed place, orders were given to move to Parois, in the Meuse-Argone sector. 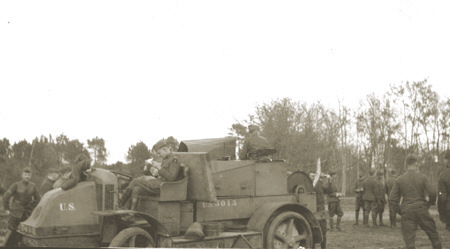 On November 1st, the company started their advance across the front, observing and directing fire as they maneuvered the balloon through the small towns and trenches, finally stopping in Nouart. They were waiting to cross the Meuse River, when the armistice took effect. There had been rumors flying about that the war would be over soon, but it did not really hit home until the silence fell over the battlefield. There was disappointment, as they were ready to go further, but satisfaction that they were still alive and would be going home soon. The “war to end all wars” was over, and everyone thought that they would be going home within a few weeks. However it was still the Army, and everything had to be in order. Camps were formed and military organization took over the chaos of battle. The battle weary troops adapted to camp life: warm food, showers, clean uniforms, regular mail, drill, K.P., drill, K.P., etc. The 43rd Balloon Company was fortunate, while a Camp John Wise, they had formed a 32-piece band. This expertise provided them with an escape from the doldrums of “camp life”. They provided entertainment and relief to the soldiers in the hospitals and for Y.M.C.A sponsored events at various camps and towns in the area. They even got some time to play baseball, and were quite good. As winter came and went, spring arrived; the troops longed for home. Many were reassigned to other companies as the demobilizations took place. The rumor mill was rife with: “I heard from the mail clerk that we would be leaving next week!” Time dragged on, allowing them to fine tune their “war stories”, for when they got home. Next week was on, May 19, 1919. They departed for home, finally demobilizing at one of the camps in New Jersey, two weeks later. The 43rd Balloon Company spent 4 months in training and transit, in the States; 4 months on the Front, in France; and 6 months waiting to come home. They were fortunate, only one killed in action. Most of the Balloon Companies in training and waiting to come over were in quarantine. The influenza epidemic and training accidents killed more members of the Balloon Corps than any German shells or bullets. 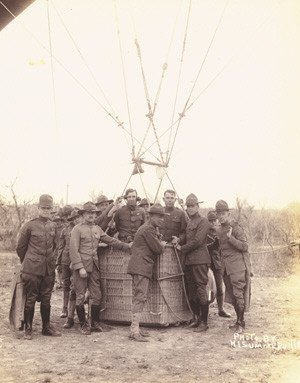 The Balloon Section was ready to provide men and equipment for two more years of war. The experiences learned in battle provided valuable information to the balloon schools in the States. By the spring of 1919, most all the balloon companies had been demobilized, the balloon schools closed and the technology of the aeroplane would soon make the what was left, obsolete within a couple years. Photographs and map are from my personal collection.